Many companies across the globe use fulfillment companies to ease their own loads. When a company is spread too thin they usually turn to a fulfillment company to fill orders and ship. But what about when the fulfillment company begins to feel the stress? What can you do if you own a fulfillment company and can’t meet expectations? Some owners of fulfillment companies try to fill many different niches. This can lead to the company taking on far too many clients and too many orders. When these orders begin to fall behind on being filled or shipped, it causes problems for you, your clients, and their customers. To reduce the possibility of being spread too thin, choose a niche. Don’t try to fill every order under the sun. While you might think that the profits will help you meet goals, more often you will find that you’re scrambling to stay afloat. Choose one or two niches and fill those orders well. Many companies that have their own niche might have trouble finding products or filling orders. By choosing your own niche, you can market your services to these struggling companies. While they may have many orders, they may be falling behind on filling them because they do not have the same resources or know how that your company does. Specialty orders can be hard for small companies to fill, as their contacts do not have the reach that an established fulfillment company such as your own may have. Become the go-to company for certain items and watch your fulfillment orders speed along. You can market your company as the experts on a certain product or even a certain method of shipping. Anything you can do to keep on target and supply your niche product will be appreciated. While it might sound odd for you to reach out to other companies, it’s not only possible; it’s a good idea. Since you are filling orders, you need suppliers. Create a partnership with your own supplier(s) in order to always have items in stock or to have them delivered right away if you find that your reserves are thin. Building relationships in your niche will only help your growth and success in the long run. Okay, so we’re a software company, but we’re a software company for a reason. We want to help fulfillment companies grow without stress. Manual processes can be tedious, time-consuming and lead to a greater amount of human error. Having the right software in place can satisfy your niche and cut down on those pain points. Check out how our warehouse and order management software can help! With more and more individuals and small business owners selling online, getting the fulfillment side right has never been more important. 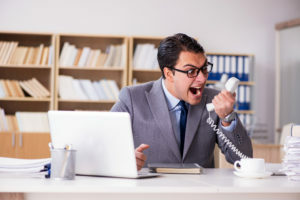 It does not matter if you own a small eBay store, a third-party website or a large online operation – if your customers do not get what they ordered, or if the goods they ordered arrive damaged, you will not be in business very long. If you want to succeed online, you need to offer your customers real value, and that means getting their orders to them in pristine condition in within a reasonable amount of time. No matter what kinds of products you focus on, what kind of mix you offer, you need to know that the fulfillment side of your business is being handled properly. As a small business owner, you have four basic choices for your fulfillment services. You could handle all of your fulfillment in-house, filling up your warehouse, or your garage, with unsold inventory and picking orders as they come into your online store. You could also choose to do third-party fulfillment, paying the resource you choose based on order quantities and the amount of business you do. You could choose to drop ship your products, relying on the drop shipper to hold up their end of the bargain and provide your customers with the quality goods they are expecting. Or you could outsource your fulfillment services, working with a reputable company to relieve the burden of in-house fulfillment and let you get back to doing what you do best – running your small online business. Each one of these four fulfillment options has its advantages and drawbacks, but there are some sound reasons to choose the outsourced fulfillment model. Outsourcing your fulfillment to a qualified expert can free up your resources, and your precious storage space, making it easier to grow your operations and build your store without the need to constantly store inventory in-house. Outsourcing your fulfillment responsibilities to an expert can also speed your shipping times and improve your customer service. These days, customers do not want to wait for the products they order online. They have been trained to expect fast delivery, and it will be hard to grow your online store if you fail to provide that timely shipping. When you choose to outsource your fulfillment, you are leaving that vital part of the business in expert hands. Shipping and fulfillment is what they do, and they have the expertise and the volume to do it right. Choosing the outsourced fulfillment model can also free up your time and let you focus on running your online business more effectively. Instead of wasting your space storing inventory and squandering your precious time packing boxes and running to the post office, you can focus on providing great customer service, fielding questions, writing product descriptions and performing other activities that will enhance the value of your online store and help you build your brand and reputation. As you can see, choosing the outsourced fulfillment model can provide a wide variety of benefits for small business owners and online stores, but understanding and following best practices will be key to success. Just outsourcing your fulfillment is not enough – you need to know that the outsourcing partner you choose is up to the job, and that they are as committed to quality customer service and the reputation of your business as you are. One of the most important lessons of outsourced fulfillment is that business owners need to first make sure their own online ordering systems and back-end operations are in place and running smoothly. If the shopping cart function does not run smoothly, or the back-end systems are not linked to a robust inventory management system, even the best outsourced fulfillment will not be able to make up the deficit. No matter what kind of outsourced fulfillment partner you choose, you need to make sure your end of the operation is robust, flexible and ready to link to the fulfillment operator. It is also important that any outsourced fulfillment partner you choose be flexible enough to handle post-order changes. Customers need to have the ability to change their orders before they ship, and your outsourced fulfillment partner should be ready to make those changes. Keeping the lines of communication open between yourself and the outsourced fulfillment company is another essential best practice. You cannot simply assume that the outsourced fulfillment partner you have chosen will understand the intricacies of your business. You need to spell out exactly what you need, and what you expect, from the outset. By communicating your needs and expectations at the start, you can avoid harmful delays down the road. Once your fulfillment partner knows what to expect, they will be able to operate more independently, speeding the time of delivery and moving orders from your shopping cart to the customer’s door. Constant communication with your customers is just as important when working with an outsourced fulfillment partner. You do not want to leave your customers in the dark or make them wonder where their products are. The outsourced fulfillment partner you choose should communicate with your customers in a proactive manner, sending an email when the order is received, another when the order is packed and shipped and another when a delivery date has been established. All of these communications should bear your company name and logo, and each should contain a link that allows the customer to track their shipment in real time. This ongoing communication is an essential part of the fulfillment process, and it should be a top priority for any outsourced partner you choose. Last but not least, ongoing testing and refining of your fulfillment system and the relationship with your outsourced partner is essential. It is not enough to leave things in the expert hands of your outsourced fulfillment partner and assume that everything is running smoothly. If you want to build your online business and serve your customers, you need to test the fulfillment system and look for ways to make it even better. From customer surveys and follow-up emails to your buyers to test orders and mystery shoppers, there are plenty of ways to test out your outsourced fulfillment and make sure it is operating smoothly and efficiently. When done right, outsourced fulfillment can enhance the value of your brand, boost your profits and help you make your online business the best it can be. 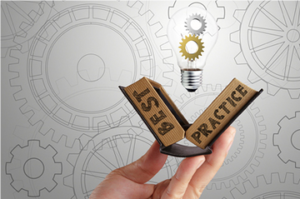 Understanding, and abiding by, proven best practices can help you make the most of your outsourced fulfillment and build your business for the future. Is It Time For A New Warehouse Management Solution? Your warehouse management system (WMS) is instrumental in managing everything from order fulfillment to keeping on top of your inventory. That means your WMS has an impact on many aspects of your business, including efficiency and cost-effectiveness, accuracy of order fulfillment, customer satisfaction and how much profit you make! A WMS should reduce the need for paperwork and make managing your warehouse much easier. Drowning in paperwork slows down your operations in several ways. Do any of these sound familiar? Order confirmations are delayed while you wait for the right paperwork. You have to deal with filing and storing all those pieces of paper. Things get misplaced or end up with the wrong person. Your staff has to waste time hunting down the right piece of paperwork. Doing accounts takes a long time because you have to gather all the right paperwork first. Inaccurate or incomplete records because no one could find the right paperwork. Incorrectly filled paperwork leading to a chain of frustrating events. If paperwork is taking up your time and energy, then your WMS isn’t doing its job. Investing in a WMS that eliminates all but the most necessary paperwork is a solid investment in the efficiency and productivity of your business. The picking, packing and receiving processes are prime spots for time wasting and inefficiencies. It’s so easy to keep doing things the way you’ve always done them, without realizing how much that’s costing your business. Your workers should be able to pick, pack, receive or shelve items swiftly and efficiently without wasting time or effort. If they’re making redundant trips, wasting time going back and forth, or doubling back on their route, then they’re not time efficient. A new WMS will make managing your worker’s routes so much easier. The right WMS makes it easy to streamline systems and routes for the best possible use of your workers’ time. Orders getting delayed and going out late. Wrong, late or lost orders reflect poorly on your business and will make your customers frustrated and unhappy with you. They won’t be so likely to do business with you in the future – and if they start talking about their experiences on forums or social media, your reputation could suffer. Happy customers who are delighted with the speed and efficiency of your service are the kind of customers who will order again. They’re the ones who will leave you five-star reviews and recommend you to their friends and colleagues. Expanding your business is an exciting time It’s also the best time to take a look at your current WMS and make sure it’s up to the challenge of serving your expanding business. Perhaps you’ve recently added online ordering. Maybe you’ve increased your inventory or added a whole new product line. Or perhaps you’ve started finding and taking advantage of lots of new opportunities for your business. All of these are exciting developments – and all of them need a WMS that’s up to the task. You’re opening a new location and your current IT doesn’t have the capacity to expand to include it. Your current system is old and inefficient and leaves you standing around while you wait for it to do what you want it to do. Carrying out IT tasks is time-consuming and counter-intuitive. You’re current IT doesn’t play well with other IT systems in your business. The right IT solution supports your business and makes it easy to streamline your warehouse processes. If your current WMS isn’t doing that, your business will benefit from upgrading to a system that does. As your business grows and new technology becomes available, you might find your current WMS struggling to keep up. Whether you’ve changed the way your staff clocks in and out or upgraded your ordering system, if your WMS isn’t equipped to handle it you could run into problems and frustrations in the future. Whenever you implement new technology, ask yourself if your WMS can handle it. Check thoroughly to see if your current WMS jives well with the new technology you’re using, and whether or not your current set up is ready to handle it. This one is straightforward. The role of your WMS is to save you money, save you time, make your warehouse processes the most efficient they can be, make picking, packing, inventory management and all the other day to day tasks as effortless as possible, and cut down on human error. Ask yourself if your WMS is doing all of those things. If it’s not, it’s time to find a WMS that can do all those things for your business. Your warehouse management solution is the glue that holds your warehouse together and keeps everything where it’s supposed to be. 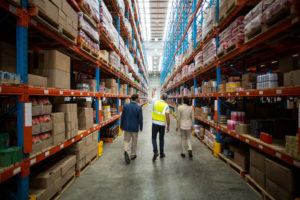 If things are looking a bit ragged around the seams, an upgrade will give your warehouse a much-needed boost of productivity and efficiency; something like a pallet racking solution like those found at prq.com.au. Do some of these 7 signs fit your current situation? Let’s discuss how ilinkONEpro could be the rit fit as your warehouse and order management solution. Contact us Today! What Is A Pick Ticket? In every warehouse that holds items to ship, there must be a way to tell their staff what inventory to pick off the shelves and pack for shipment. That’s where a pick ticket comes in. Basically, a pick ticket is a piece of paper that lists all the parts of your order that need to be found, put together, and shipped. In the fulfillment world, it is also referenced as a packing slip, or pick slip. Usually, it is a piece of paper. However, it can also be a large sticker (especially if part of the pick ticket is used for the shipping label), or it may actually take the form of an electronic file. In today’s technological world, many warehouse managers and operators like using tablets or mobile devices to manage their inventory. The accuracy of the pick ticket is crucial. The warehouse operator is going off what is provided. It tells them what to pick and how many. The ticket needs to be clear in terms of items, with any special instructions included. Inaccurate picking will lead to inaccurate deliveries. That opens the door for unfulfilled or inaccurate orders and unsatisfied customers. The paper pick ticket can also double as a packing list. Check out the next package you receive. There should be a piece of paper alongside the item(s) ordered and it should be pretty clear in terms of quantity and item. It may have other wording and text that is gibberish to you, but it means quite a bit to the warehouse staff. Certain codes may indicate where the item is located in the warehouse and certain letters may indicate the initials of the warehouse staff picking your order. 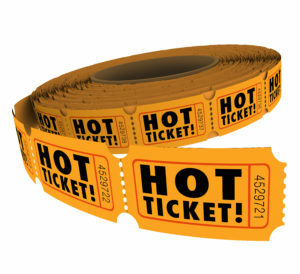 The end result is that the pick ticket has information that is imperative to the efficient running of the warehouse.